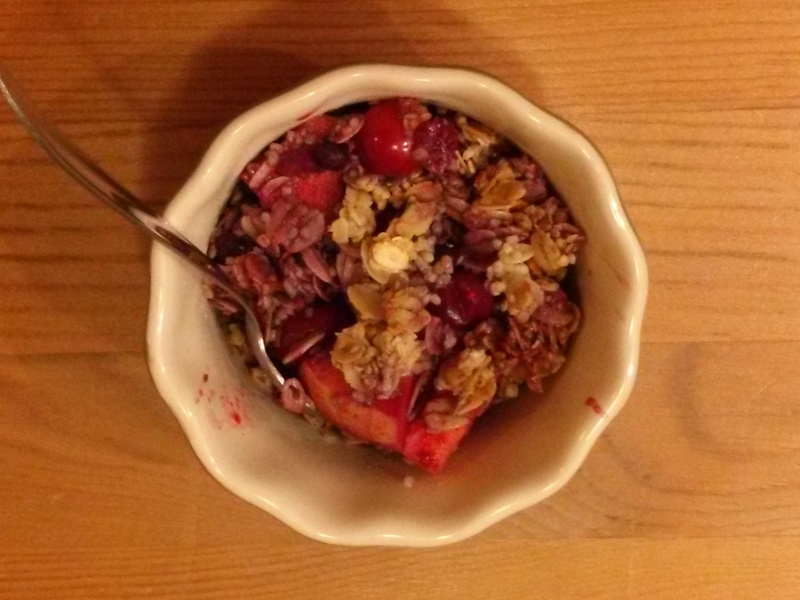 Warm up your body and soul with this easy to make fruit crisp. This is a new sweet recipe to add to your ‘good’ comfort food list. In an 8 x 8 baking dish mix chopped apples, cranberries and blueberries together. Add cinnamon and 2 tablespoons of the maple syrup, and mix. Add water if using fresh fruit. In a small bowl mix the rolled oats, hemp seeds, coconut oil, and 2 tablespoons of the maple syrup. Sprinkle oat mixture on top of fruit. Cook at 350 degrees F for 45 minutes.